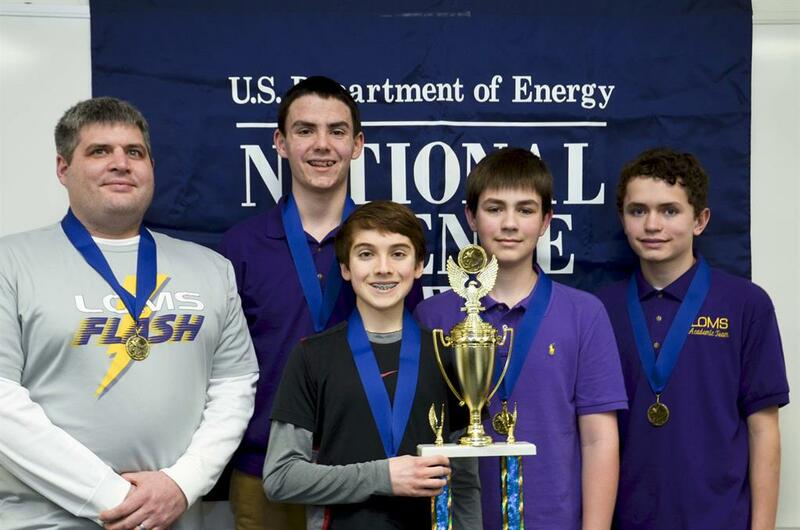 Teams from Lone Oak Middle School finished 1st and 2nd in the U.S. Department of Energy’s West Kentucky Regional Science Bowl Feb. 28 during competition among 16 teams from 11 middle schools. Two teams from the same middle school don’t normally compete against one another in the final round. 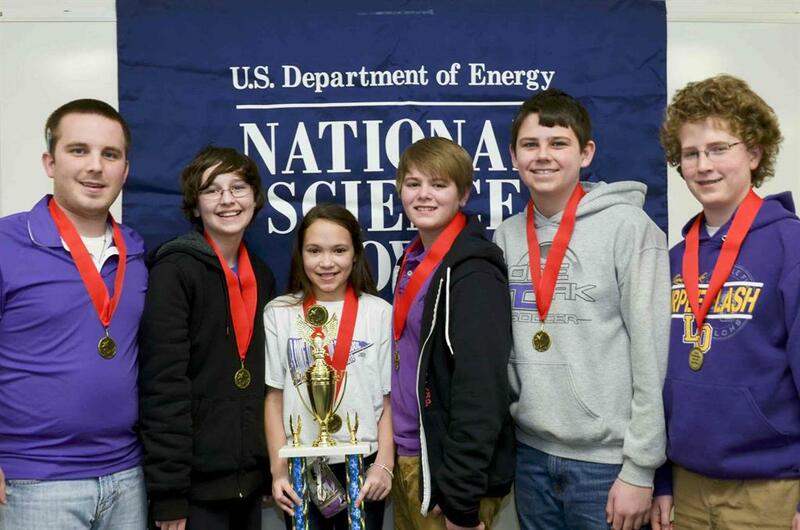 Lone Oak’s top team will represent western Kentucky in the middle school competition of DOE’s National Science Bowl, held in Washington, D.C. from April 24-28. 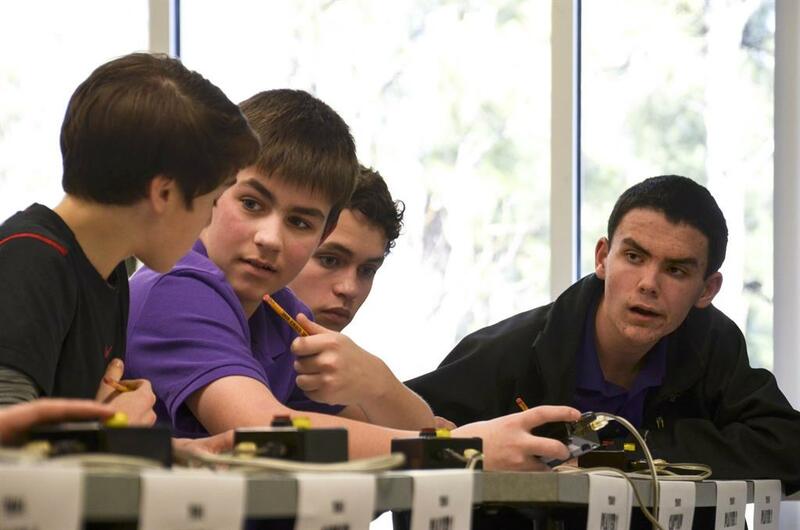 While at the national competition, Lone Oak will compete in the same fast-paced, question-and-answer format that was used in the regional competition and will build and race a lithium polymer battery-powered model car in the Electric Car Competition. The students also will visit national monuments and museums. Henderson North Middle School finished third in the regional competition, held at Crounse Hall on the University of Kentucky College of Engineering – Paducah Campus. Other middle schools competing were Ballard County, Calloway County, Graves County, Heath, Lyon County, Murray, Paducah, and South Marshall. Coached by Daniel Rushing, the winning Lone Oak team was composed of Drew Schofield, David Dodd, David Perriello, and Ethan Brown. Brown, the team’s science specialist, said he prepared for the Science Bowl with practice questions. Calloway County High School won DOE’s Regional Science Bowl Feb. 21 at Crounse Hall, 4810 Alben Barkley Drive, and will represent western Kentucky in the high school competition of the DOE National Science Bowl. The DOE National Science Bowl tests students’ knowledge in all areas of science, mathematics, and energy. Middle and high school student teams consist of four students, one alternate, and a teacher who serves as an advisor and coach. The fast-paced, question-and-answer format covers a range of science disciplines including biology, chemistry, earth science, physics, energy, and math. DOE, the University of Kentucky, the Paducah Area Chamber of Commerce’s Business Education Partnership, the Ballard County Industrial Board, Pro2Serve, and Paducah Water sponsor the West Kentucky Regional Science Bowl. Contributions from local and regional businesses help pay for trophies, T-shirts, lunch and prizes for participating students, and provide prize money for the winning school’s science department. Additional contributing businesses are the Nashville Predators, Swift and Staley, Air Products, West Lake Chemical, Babcock & Wilcox Conversion Services, Papa John’s, LATA Kentucky, and the Southern Illinois Miners. Lone Oak Middle School 8th Grade (winning team) action: From left, David Perriello, Drew Schofield, Ethan Brown, and David Dodd formulate their answer to a question in the finals.